How Cresp injection works, Cresp injection is a growth factor that stimulates the bone marrow to produce more red blood cells. Common side effects of cresp injection are rash, Injection site pain, pulmonary thromboembolism, arterial thromboembolism (blood clot in artery), edema, increased blood pressure, hypersensitivity. 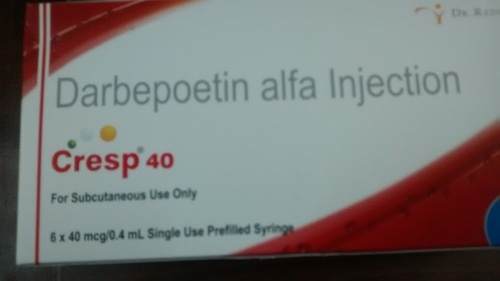 Common dosage for Cresp injection patients taking Cresp injection.